" This is a good cleaning solution, it doesn't take much to keep a mask clean day-to-day and it lasts a good long time. " Take Control III Disinfectant CPAP Cleaning Solution along with the handy 2 oz size. This concentrated solution is used in sleep labs and hospitals as a disinfectant and germicide. Control III is a concentrate formulated to work on a broad-range of pathogens in just 10 minutes of soaking. It is recommended that the items be pre-cleaned before soaking. The 2 ounces of concentrate can be used to make up to 2 gallons of diluted solution. Solution that is mixed up can be stored for up to 14 days. 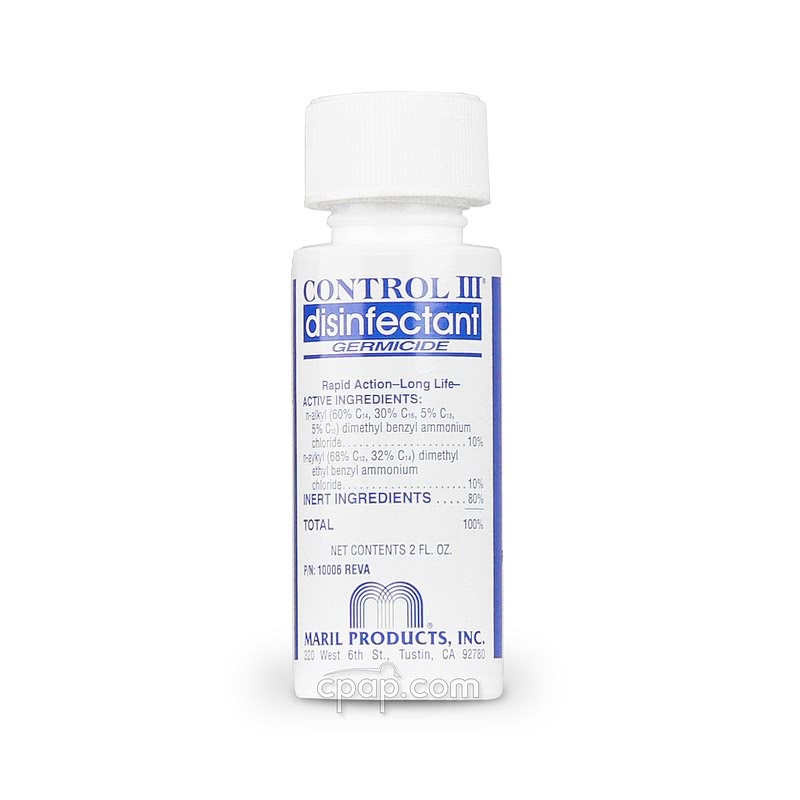 Control III is also available in a 16 ounce size- visit this page to read more: Control III Disinfectant CPAP Cleaning Solution - 16 oz Concentrate. 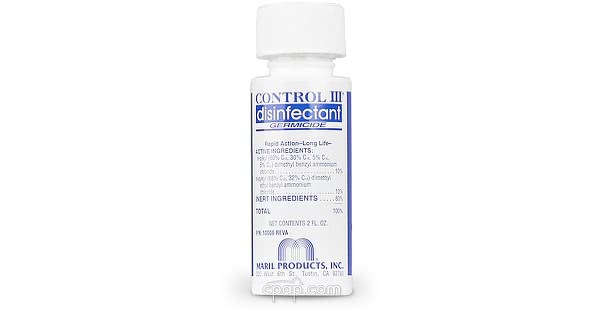 What Does Control III Disinfect? Store the diluted solution for up to 14 days. We recommend getting a small spray bottle, following the directions for dilution, and using the spray bottle for everyday cleaning needs. To dilute the solution, add 1/2 ounce or 1 Tablespoon of Control III to 2 quarts of water.